Apr. 4, 2013 - Getsocio released a new version of software for creating deal websites which provides some options that were previously unavailable. This version includes the following upgrades: shopping cart functionality, coupon barcode system, new user role and many more. In earlier versions of Getsocio script it was possible to purchase only one deal at a time. Shopping cart, integrated into new script, doesn’t contain any restrictions on the quantity of items for eventual purchase. This option is beneficial for online shopping customers who want to buy several deals. Shopping cart accumulates a list of selected items, allows to combine all purchased goods into one package and to save money on shipping charges. Initially, coupons were protected from copying only by unique code printed on coupon. Even though it was a reliable method of protection against fraud, it was associated with a routine manual check of the coupon codes. From now on each coupon also contains a barcode - an encoded combination of digits that can be easily scanned with electronic devices. With this option merchants may not make manual coupon matching anymore which saves their time and efforts. New user role "support" is designed for the staff members who answer customer phone calls, respond to emails and deal with other customer service tasks. This user can access sections of the site needed for performing customer service job, but cannot modify or export info on the website and does not have access to the pages containing confidential data. New user role is particularly useful for deal sites with a large audience because it allows to expand customer service personnel without violating security rules. Deal and group buying industry is a dynamic and rapidly developing area of e-commerce. Successful start and efficient work of a deal website is achieved with the help of various tools and applications. Hence software developers should keep their scripts up-to-date with the market needs. New functionality, introduced by Getsocio, is intended to make process of selling deals online more convenient for both buyers and merchants. Besides, new updates allow to assign responsibilities related to daily functioning of a deal site in a more effective and safe way. Getsocio.com is a social commerce platform for creating deal and group buying websites. Getsocio works with a wide variety of clients and it already hosts and powers a couple of thousands of deal sites all over the world. This deal site builder is specifically designed for small businesses and private entrepreneurs. 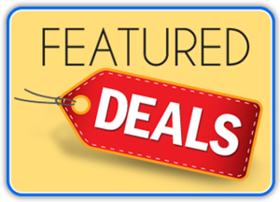 Deal websites on Getsocio are highly customizable and easy-to-use. Visit http://getsocio.com/ for more information.